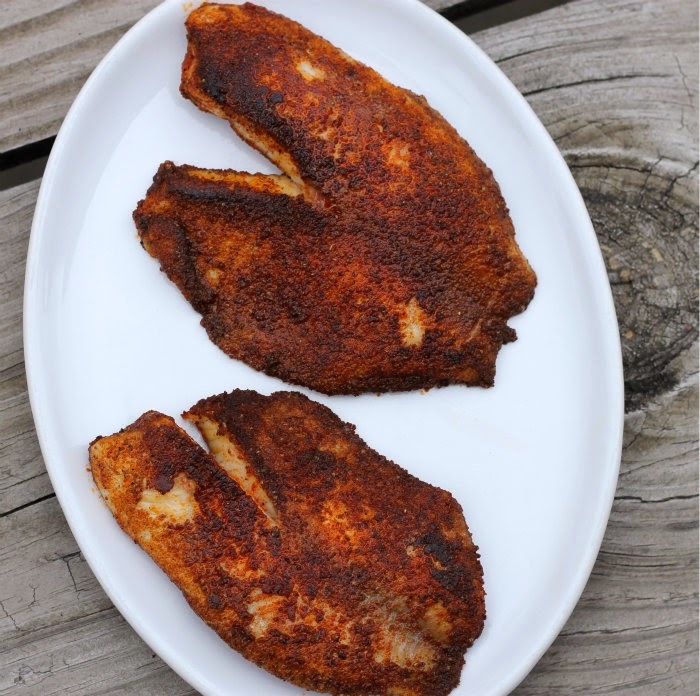 I had eaten blackened tilapia in a restaurant a couple of years ago. Ever since that meal I have wanted to try making it at home. We had tilapia in the freezer and I wanted something different for dinner and thought of the blackened tilapia. I found the recipe at allrecipes.com and my Mike actually cooked the tilapia. He gets home from work before me. So when I arrived home from work he was in the process of cooking this for dinner. I have to admit he is quite the cook and sometimes I think that he loves to cook as much as I do. Yeah, I have to admit I am one lucky gal. It is nice to come home after a long day at work to a house that is filled with the aroma of blackened fish. This recipe is a bit spicier than what I remember of the tilapia that I had at the restaurant, but Mike used the whole amount of red pepper, which you can adjust if you don’t want it quite so spicy. But even though it was a bit on the spicy side I couldn’t quit eating it, it was really delicious. 2. Heat a heavy skillet over high heat. Add oil, and heat until it is almost smoking. Place the fillets in the pan, and cook for about 3 minutes per side, or until fish is opaque and can be flaked with a fork. Remove from the pan and serve immediately. That blackening seasoning sounds awesome! Super flavorful and yes, definitely great to come home to! 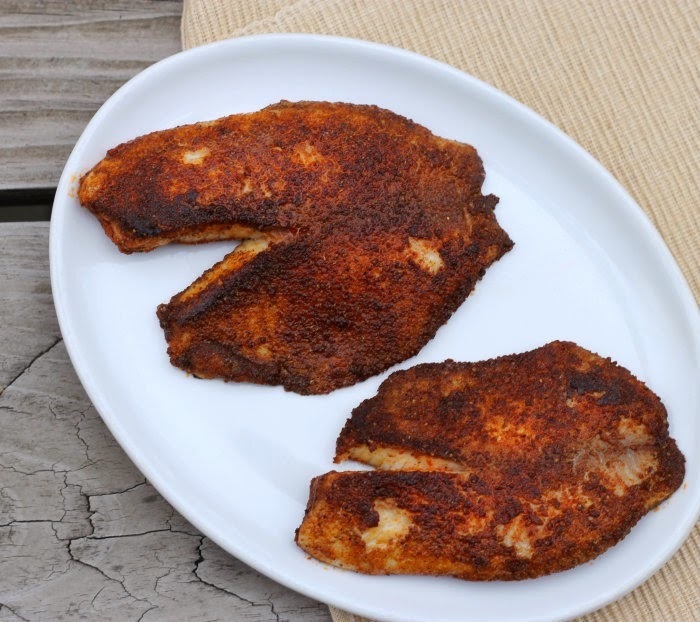 I do a similar spicy seasoning with chicken I have coming up on my blog in a few weeks, so I know I like the blackened flavors. 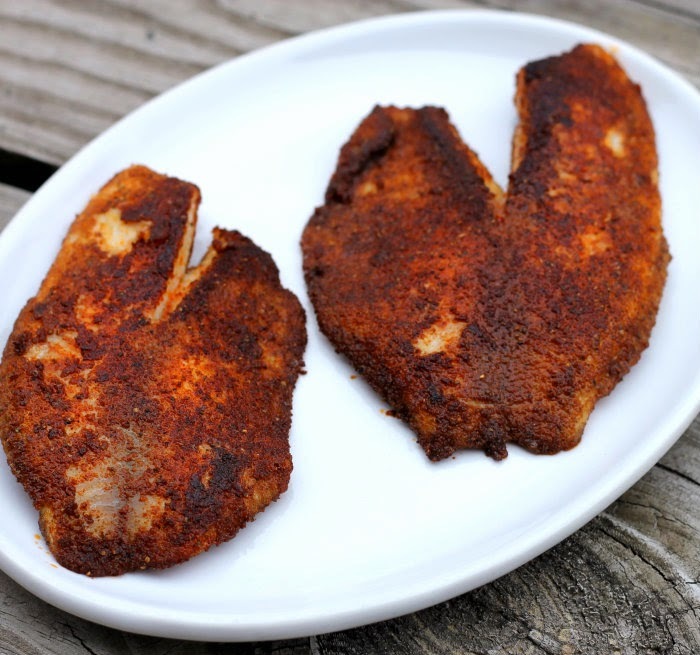 I’m a fish lover but haven’t done a blackened fish before (but I’ve got some tilapia in the freezer).